When I created Psychopathic Writings I hoped to be able to provide some valuable information about psychopathy both in the more general terms and in specific areas that aren't very well covered on the Web and elsewhere. I thought I knew pretty much what I got myself into, but as always when you do something that you've never done before and have no prior experience with doing, and especially when it is also something nobody else have done before, surprises will be part of the experience. And indeed they have. I've had plenty of surprises, some which have been challenging to say the least, but also some that have been positive in ways I couldn't have anticipated and certainly wouldn't have dared hope for. I early on realized that writing about a subject which since early on in my life has played such an important and central role would bring along some personal changes. It can't be avoided when you begin to research, re-think, and re-live a subject such as a personality diagnosis from every possible angle on a daily basis, and receiving feedback has generated a lot of change in how I see many things around my life, myself and the people and society around me. I have had what I could call a change of heart since the beginning. Thus, when I first started writing back in January and February, my goal was to prove my diagnosis was completely misplaced, that I wasn't a psychopath and that those who have assessed and diagnosed, and re-diagnosed, me over the years were prejudiced and misinformed, they didn't understand me at all and merely gave me the psychopath label because they wouldn't admit they hadn't found anything wrong with me but they pride demanded they put some kind of label on me. In those early weeks I went through my third assessment, this time I sought to have it done myself and found a private clinical psychiatrist who conducted the assessment individually and without any help from the legal system, and I payed for the whole thing myself! It wasn't cheap, because he had to dig up all my past history and go arrange for all the tests and scans anew, but I payed gladly because I was absolutely convinced the result would be that my diagnosis was officially recanted. But as everybody can see by the way I talk about psychopathy in regard to myself, my diagnosis was not recanted. 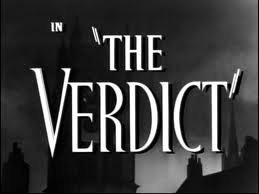 Instead the old verdict was confirmed for the third time! I'll continue this charming piece of personal history in Part 2. Could you tell me what you do for a living now? And as a psychopath, how do you respond when you get physically bullied? And when you get verbally bullied ofcourse? What would you do if 5 guys try to mug you when they have knives? How does a psychopath survive in jail? Even though I guess it would put them out of their misery. Why didn't you answer my questions? I'm really curious about knowing how a psychopath would react in those kinds of situations. Thanks a lot and juste so you know, the african thing wasn't from me. I will write about these things in future articles. It would be far too limited to try and respond in a short comment. Please be patient, there are many topics and questions to cover, and I have to take it one at the time.